Nothing has been done on this blog for quite some time, but I’ve decided to try, where I can, to do the 31 day challenge from Pro Blogger. The challenge is designed to help you get a better understanding of why you blog and to help it along. The challenge is 31 Days to Build a Better Blog. Since this blog has been inactive, I thought perhaps it could be a good one to do the challenge on. Accompanying the challenge are some podcasts by Darren Rowse that you can listen to and get some ideas. The podcasts give you a better understanding of what you need to do and tips on how to achieve it. It is hoped that you can help your blog be a lot more successful. The first day is about doing an Elevator Pitch for your blog. The link is there so you can go and listen it to it as well. We have been given lots of tips on how to do this and now I really need to work out what this blog is going to be about and where I want to take it. This blog is about fine art photography, how I go about it and what I photograph to make my images. I will write about my experiences, whether they are good or bad. It is also about challenging myself to get out there and just try things to share with you as well as an artist. Perhaps my tag line could be Fine Art Photography in Action. Here is an image I took with my phone yesterday along the Black Spur Road on the way to Bonnie Doon. It was a very foggy morning and the challenge was all about trying to capture that fog. So maybe the fogginess is symbolic of what this blog has been like and perhaps the challenge will help me come out of the fog. Last week I had an opportunity to go out my friend Christine Wilson to take some photos north of Melbourne. It was going to be a great trip and we were going to see some amazing things, and, of course, take photos. Well we did see some amazing things, but the sky, well the sky was just horrible. It was a white sky and really wasn’t good for photography. So what do you do “When the Sky Gives you Blah”. We headed out past Romsey and Lancefield, making note that we will have to go back there. then we headed to Emu Flat, a place that seems to be only an old church and an abandoned school. We could walk around the church, but we had to content ourselves with photographing the school from the other side of the fence. There were two sides, but also trees to contend with. It wasn’t ideal, but with signs everywhere saying trespassers will be prosecuted, well I didn’t want to take the risk and neither did Christine. So this is basically the raw image I got. You can see I was quite a distance, couldn’t get any closer on this side. You can also see the sky and how terrible it was. It was so disappointing. I have all these photos of this place and if I want to process them I am going to have to replace the sky in nearly all of them. So that is what I did for this one, following a new tutorial I found. I put a much cloudier sky in the image. I have done quite a few other things to this as well, besides just the sky. I did convert it to black and white, and then I converted it back to colour after I had changed things. I sort of like the saturated feel to it. I think the sky replacement was a good idea, and though harder because of all the trees, was worth the extra effort. I am going to post the black and white version on my other blog, and you will be able to see it on my Quiet Thursdays post, I will add the link as soon as I post it. Just need to remind people that you can comment on this post, and while it doesn’t look like anything happens when you do, it does. I get all the comments, though it can take me some time to approve and respond to them yet. I don’t know why this blog is so weird to leave comments on. I will have to get onto the developers and see what they can work out. Donating, I do this blog and my other blog to help me and also to help you. I get no assistance for doing it, so it would be wonderful if you would consider helping me by donating a small amount every now and then, especially if you have been helped by me or learned something from this blog or my other blog. Thank you. This is going to be a second part to my Weekend Wandering post on my other blog. I took so many photos of the exhibition at the National Gallery of Victoria that there were too many for that blog post. I am not going to talk about it too much here, but if you want to know more about it then please go to my post, Weekend Wanderings: Gaultier at the National Gallery of Victoria. I am hoping to get another up tomorrow as well. For Monochrome Madness this week I thought I would do a shot I got the other day at the Jean Paul Gaultier Exhibition that was on at the National Gallery of Victoria. There were some perfume bottles on top of cases and I thought they would make a great image, so I did Perfumes First in Monochrome and Then in Colour. I like the monochrome version, but the perfume bottles get a little lost at the top, so I thought it might be better in colour. I like that reverse processing, so once I was done with the monochrome version I went back and changed it back to colour. I think this one shows off the perfume bottles a lot more and a lot better. The cases might be a tad over saturated, but the perfume do look better. I think you can see the shapes of them much better. It is the last week of the One Four Challenge December Week 4. I have enjoyed working on this image more than the previous one, still this last week I was a little stumped, and in the end decided that it really didn’t matter, that I should just go for it, so that is what I did. I don’t really know what I did. I did put in a new sky and blurred it quite a bit. I really just wanted to see how far I could push it. I tried embossing it and also using the high pass. I blended layers with Silver Efex. You name it, I pretty much tried it. I don’t know that I think this is my favourite, in fact I know it is isn’t, but it is all part of the learning curve. It has been fun, though I don’t know how often I will do this challenge. It has been good to push an image more, and I would like to do it more on my own. It is something we did when I studied photography. I am going to put the original and the other three weeks images into a gallery at the end of this post for you as well. Don’t forget to go to Robyn’s blog, Captivate Me, to see the pingbacks of others that have participated. Or in the read enter One Four Challenge to see all the other entries. This week I have got in early with my processing and my image for the One Four Challenge for December Week 3. I had some ideas that I wanted to try out, so I got onto to it all early this week. Again, I am attempting to do something with this image that I haven’t done before. The Australian summer is very harsh, and I want to show that in these images. Usually here it is a waste of time taking photos in summer, the light is to strong, the shadows too strong, there is nothing soft about it at all. Through these images I want to try and use that harshness to do something, not sure what, but I am hoping to experiment a lot more over the Australian summer. Last week I tried to show the heat, and this week I wanted to show heat again, but the wind as well, though a lot more pronounced. When I was a teenager growing up near the Mallee we used to get the most incredible dust storms. I can remember the shout would go out, get the washing off the line and close all the windows and doors. Then we would stay inside until it went past us. The dust was like a thick brown fog, and it would be windy, so things would be flying around with it. It was suffocating and you couldn’t go out in it. They don’t happen so much now, farmers work their fields much differently now so they don’t lose their top soil. I don’t know that I miss them, but I love how they looked and I thought for the One Four Challenge I would try to make the tree look like it was in the middle of a dust storm. So to do this image, I changed the colours and added textures. It was interesting and it was processing that I have never done before, well not quite like this. It was fun experimenting, trying things, deleting things, just seeing what I ended up with. I have to say I really like where this ended up. There are still things to sort out, but it is a great beginning and I’m looking forward to trying this out more with other images and other scenes. I will put this image into a gallery again, with the other and the original. This is my image for the One Four Challenge for December Week 3, but there will be others over the next week, you can check out Robyn’s blog Captivate me, One Four Challenge – Dec wk 3, and also if you use the reader you can use the tag One Four Challenge to find others. I just need to remind people that you can comment on this post, and while it doesn’t look like anything happens when you do, it does. I get all the comments, though it can take me some time to approve and respond to them yet. I don’t know why this blog is so weird to leave comments on. I will have to get onto the developers and see what they can work out. Over at Visual Venturing it is AB Friday Week 29 and I thought I would have another go at doing an image for it. I do images all the time, but I don’t always think to show the before and after, but sometimes it is really good to do that. I liked what I did with this image, and I like how much it changed from the before, so I really wanted to participate this week. The after image. I like the silence of it, and the peek into a world that we don’t get to see very often, when things are shut, especially in an arcade. The before image, it looks as it usually does, well with the exception of the people. When I went to the Block Arcade on this particular evening I was so surprised to find it with no one in it. For about 2 or 3 minutes I was there taking these photos no one entered, it was like a dream come true for me. So I quickly took some images. Most didn’t work because my ISO was too low, but I just had to go for it, I knew if I stopped to muck around with settings or put my tripod up, the moment would be gone. The only downside to the whole thing was that the shop right at the end was still open and there were people in it. So my challenge for this image was to remove the trace of people and close the shop and try to make the arcade look like it was closed, or had been closed for some time, like it was stuck in time. I don’t know that I quite achieved that, but I am still fairly happy with what I got. I do need to get more textures though, ones that are more suitable for this sort of image. Don’t forget to go to Stacy’s blog and see all the other entries for AB Friday Week 29. I just need to remind people that you can comment on this post, and while it doesn’t look like anything happens when you do, but it does. I get all the comments, though it can take me some time to approve and respond to them yet. I don’t know why this blog is so weird to leave comments on. I will have to get onto the developers and see what they can work out. Here is a gallery, so you can see the images individually. 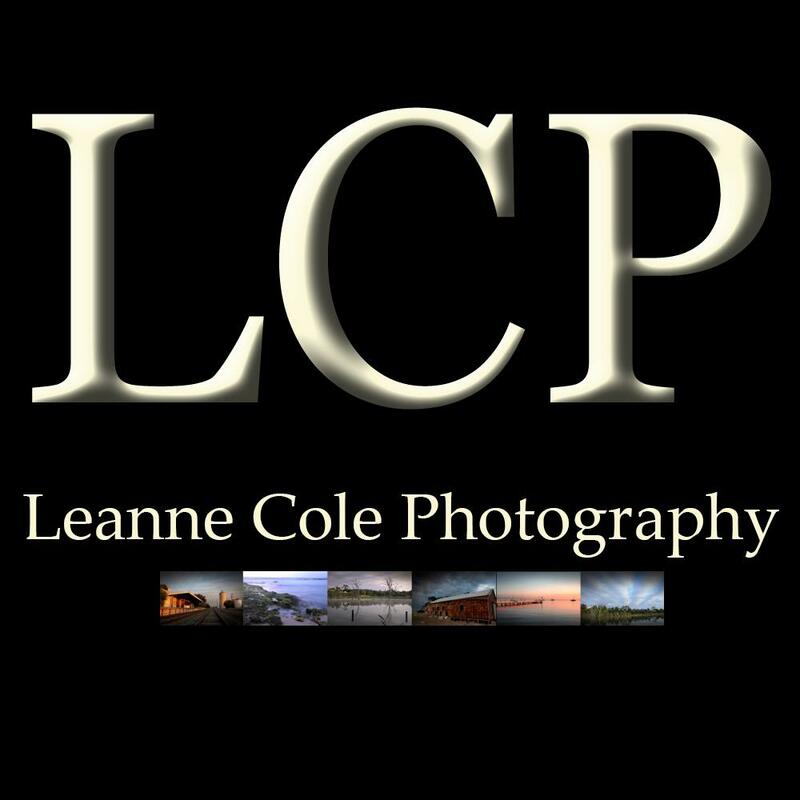 Over at Leanne Cole Photography is Monochrome Madness 41 and I thought this week I might show what the colour image looked like, the colour in Monochrome. I have some lovely carnations in my garden and while it was nice seeing one of them in monochrome, they also look really in colour, so here is the colour one. I cropped it a little different to the monochrome one, than when I was processing the monochrome version, I didn’t really plan on doing it in colour as well, but I hope you agree the colour one is nice as well. I have processed this a little differently to the monochrome carnation, though I also didn’t do as much to it. I like carnations, they are sort of scrappy flowers, but when you look up close they are also quite detailed. Quite amazing. I think I will have to go and find more to plant, I think a lot more in the garden would be nice. Funny, since I got a macro lens, I really want to get my garden looking good, would be nice to have many things to photograph. I am going to include a gallery now for the two images. It is Week 2 of Robyn’s, from Captivate Me, One Four Challenge. I thought when I picked the image of the tree that I wouldn’t have any problems trying to figure 4 ways to process it, but I think I need to start thinking about this a little more. Next time I will have to pick an image that I am fairly certain will work a lot better. This weeks effort. I knew I wanted to try and make the tree bigger, and I wanted a washed out colour look, though I think I ended up with more of a monochrome look, but I don’t mind it too much. I wanted to see if I could over exaggerate an Australian summer day. I haven’t done that this time, but it is something I wanted to keep trying. I have two more weeks to do something with this image. I am glad I have another week to start thinking about what I am going to do. I am sure I can do more with this, but I will have to try some more things. I have one or two ideas, but I am a bit worried that I am not very good at this. Oh well, hold onto next week, see what I can do for it then. I am going to always do a gallery with the original image, and each one that I have manipulated, I like being able to see each one, I hope you do too. If you want to see more images that others have done for the One Four Challenge then please go to Robyn’s blog post, One Four Challenge – Dec wk 2 and check out the pingbacks. Challenges can be great, especially for people who are starting out in photography and need help taking photos, or help finding inspiration. I don’t do a lot of challenges, I don’t really need the help with finding inspiration, but the challenges I do like are ones that make me process images. Well I don’t really help doing that, but I figure I am doing them anyway, why shouldn’t I enter the images into challenges as well. One of the challenges I quite like doing is the AB Friday from Visual Venturing. You work on a image and then send the original or before photo and the end result, the after photo to Stacy, then she posts them all on her blog on Fridays, hence AfterBefore Friday. This is a photo that I took of a fountain in the city of Melbourne near Parliament House. I decided to make it monochrome because I thought the water would stand out more, which it does. The park behind it was too distracting. Once I turned it into black and white, and made the greens and yellows a lot darker, then the water started to be more prominent, the distractions gone. See what I mean, the water doesn’t stand out so much, you see it, but then look through it to the garden on the other side. Quite a few people do this challenge and if I can, I like too, so if you want to see more entries then go and take a look at Stacy’s blog Visual Venturing. If you want more information about the challenge then go to the AB Friday Forum, how to do the challenge and what you need to do is all there. I will put the photos into a gallery so you see them free of the blog, better background.